RBTH presents a selection of views from leading Russian media on international events, featuring reports on the possibility that Russia may cancel counter-sanctions against Greece, an incident on the Georgian-Ossetian border, and the announcement that Russian oil production is to decline in 2016. The daily broadsheet Izvestia writes that State Duma deputy Andrei Krutov (from the A Just Russia Party) has sent a request to Russian President Vladimir Putin asking him to review the possibility of granting Greece an exemption from the embargo Russia has placed on European food imports in retaliation for economic sanctions imposed on Moscow (over its role in the Ukraine conflict). 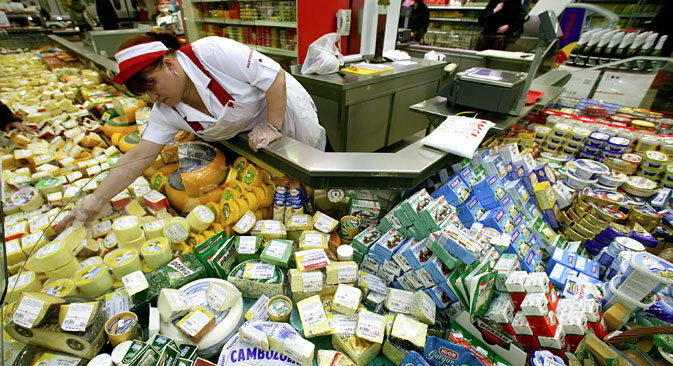 The agricultural products grown in Greece cannot be produced in Russia and the lifting of the food embargo, considering Greece's economic problems, would be perceived in a positive light by both Greeks and Russians. Experts believe that the cancelation of the food embargo would help Russia in the realization of energy projects in Europe. "Within the EU Greece has lost its rights," said Konstantin Korischenko, director of the Capital Markets and Financial Engineering Faculty at the Russian Academy of National Economy and State Service. "Therefore it will not be able to quickly increase supplies to Russia. However, the step to cancel the embargo would be a logical geopolitical move and would help establish foreign policy relations. It would help the promotion of energy projects, in particular, the construction of the Turkish Stream pipeline on Greek territory," he said. The Kommersant business daily reports that on the eve of talks in Prague between high-ranking Russian and Georgian officials on normalizing bilateral relations, an incident has taken place on the border of Georgia and its breakaway republic of South Ossetia – the most serious one since the five-day war between Russia and Georgia in 2008. Yesterday, writes the newspaper, dozens of journalists from Tbilisi boarded minibuses and traveled to the Georgian settlement of Khurvaleti, where there were banners reading "State border of the Republic of South Ossetia." Wiping their feet with the banners, they promised to do the same in the future "in order to prevent Russia from occupying Georgian land." The banners had been set up by members of the South Ossetian government on the line between the Georgian settlements of Khurvaleti and Orchosani. Now the territory that is controlled by the South Ossetian authorities contains not only farmland but also 1,600 meters of the strategically important Baku-Supsa oil pipeline, which is controlled by British Petroleum. Georgia's Foreign Ministry blamed Russia for the incident, saying that its efforts are moving the border deep inside Georgian territory. Official representative of the South Ossetia government Khokh Gagloity announced that the Russian border guards "have nothing to do with the incident," and that the work was done by "employees of the corresponding South Ossetian services," who did not go a meter outside the republic." The centrist newspaper Nezavisimaya Gazeta reports that Russia's oil production is set to decline in 2016 as a result of the EU and American sanctions. The announcement was made yesterday by the Fitch international rating agency. According to Fitch, the reduction will be the result of restricted access to international finances and low oil prices. The credit profiles of Russian oil and gas companies will remain stable, despite the low prices. It is Russia's sovereign rating that will have the main influence on the ratings of Russian energy companies. The Russian government also expects production to be reduced – by three million tons annually. At the same time, the volume of exported oil in the near future will slowly grow. For example, according to the Main Direction in Budgetary Policy for 2016-2018 project, at the end of the current year the overall volume of exported oil will be 224 million tons. Such a contradiction, according to Eldar Kasayev, an expert interviewed by Nezavisimaya Gazeta, can easily be explained. "As a consequence of the fiscal maneuver, the oil industry has seen export duties lowered and the severance tax increased," said Kasayev, member of the expert council at the Russian Union of Oil and Gas Industrialists. As a result, he said, it has become more advantageous to export raw materials than to market oil and oil products domestically. Nevertheless, in conditions of low oil prices such an economic model may become inefficient.